With the closing of Desert Mountain Brewing, back in September of 2013, residence of Columbia Falls once again found themselves without a hometown brewery. Darin & Carla Fisher intend to remedy that problem by opening Backslope Brewing in early summer of 2015. Darin has over 10 years of brewing experience under his belt and his wife, Carla, has been managing the very successful, Montana Coffee Traders, in Columbia Falls. 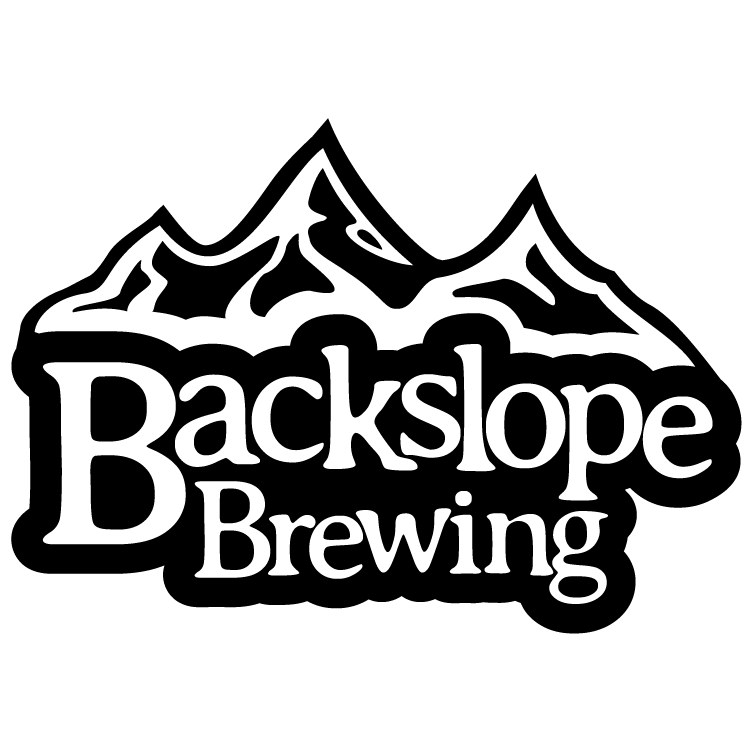 With his knowledge of brewing beer and her 15+ years of management experience, it is hoped that Backslope will be slinging beer and providing a community hang out for the thirsty residence of C Falls for decades to come. It's their hope too, because they've bet the bank on its success by investing their savings into acquiring all the 4 barrel equipment from the old Desert Mountain Brewery and a mash tun from MickDuff's in Sandpoint. Still, emptying your savings into what has been a longtime dream of yours isn't always enough. The Fisher's want to do it correctly from the get go, vs. playing catch up, by acquiring the needed additional equipment and by upgrading the existing equipment that they have. Currently they still need a high quality brewery pump, more serving kegs, a new brew kettle, high quality brewing hoses, and several other small but essential brewing components. The acquisition of the aforementioned equipment is over and above what they have already invested, which is why they have turned to crowd funding for help and who's the king of crowd funding? Kickstarter.com, of course! Click HERE to visit Backslope's Kickstarter page. It is, after all, the season of giving and if you are feeling a bit philanthropic, throw some money their way to help insure that this will be a success. About the facility. It will be located at 1107 9th St. West (Hwy 2) in Columbia Falls in a 50'x50' structure that will yield 2,500 sq. ft. of usable space upstairs and slightly less downstairs in the basement. In addition the acquisition of the Desert Mountain brewing equipment and kegs, they also bought the bar base that is a piece of corrugated metal siding from a barn that was being torn down near Great Falls, a couple of chalk boards from an old Nebraska school house, and what will be the centerpiece of the tasting room, a beautiful bar top that was created from a tree that had been sitting on the bottom of Flathead lake for the past 100 years. Outside, on the right of the building, you will find what everyone loves...outdoor seating on a 426 sq. ft. covered patio complete with an elbow bar! As you walk in you will find the layout to be 697 sq. ft. of seating ahead and to the right with the bar being located towards the back and center. To your left is where the brewing will take place, in a 439 sq. ft. space, that will have a short partitioning wall, with an elbow bar, separating it from the seating area. What about that space in the back of the building, what are they going to do with that? Well, what do we (Flathead residents) all complain about so bitterly when it comes to visiting breweries in these parts, especially when kids are in the mix? FOOD! Could it be that Backslope is thinking ahead and has plans to server you food? The official lines is, is that they hope to incorporate some food component into the business, but are still looking at options, licensing issues, etc. 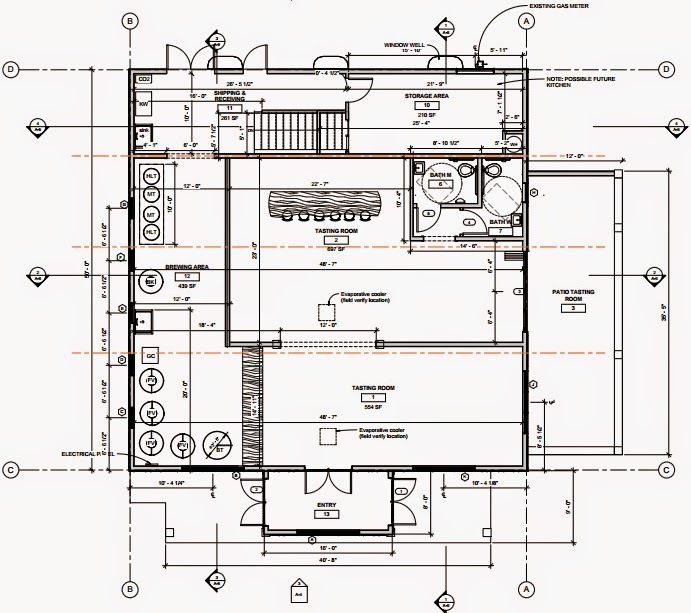 Everything needs to be in order before they announce firm plans to open a kitchen. Keep your fingers crossed. Darin will brewing 5 flagship beers: a pale ale, IPA, kolsch, porter, and a stout. He also has plans to have seasonal and rotators like Scotch ales, ginger beer, imperial IPA's, imperial stouts, barley wine and various Belgian style beers like a dubble, tripple, and a saison. Darin also got his hands on some whiskey barrels from Glacier Distilling, so look for a barrel aging program.